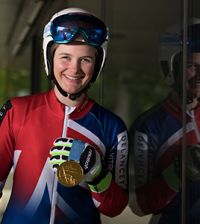 Touching down in Gibraltar I didn’t realise how much hard work and fun the next four days would be! 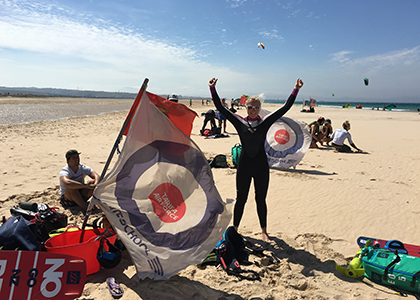 My goal for the holiday, learn to kitesurf, for the second time… Kitesurfing and I are old friends having learnt whilst I was at University, but not really having the time to carry it on, my skills never improved. 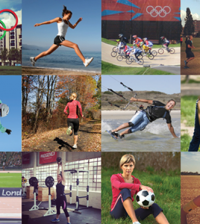 In this blog I re-visit the sport and re-learn/re-love the sport. 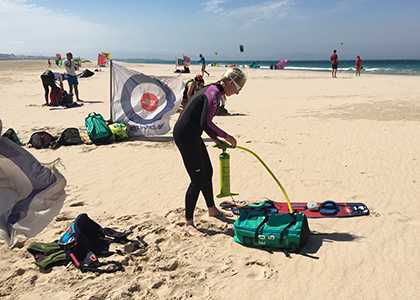 It was suggested that maybe I should take some lessons in Tarifa. 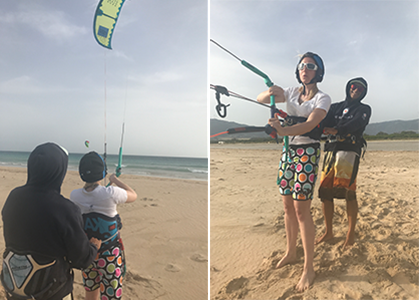 With help from the Levante, an easterly wind that blows across the mountains of Tarifa and funnels into Gibraltar straight creating gusty strong winds – it’s the perfect spot for kite surfing. Arriving at the beach with Morocco as the back drop, colourful kites danced in the sky, many with newbies, like myself, struggling to keep control in the gusty conditions. Jordi my instructor started with the basics of laying out the kite and lines, checking for tangles and attaching the kite and lines together. 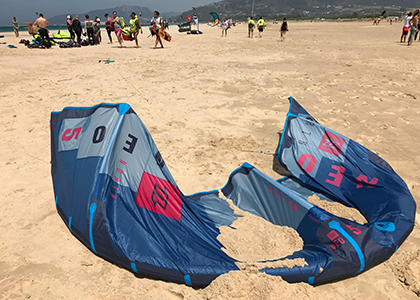 The force of the wind determines the kite size, on my first day in Tarifa I was flying a 3.5m kite on 10m lines as the wind was gusting up to 35 knotts, I tried not to panic about being blown away. Once the kite was set up Jordi attached himself through his harness using the chicken loop and safety leash and we launched the kite into the air, it took off with vigor and fidgeted in the sky as Jordi spoke to me about the wind window, this is the imaginary area downwind that the kite can fly in which uses the face of a clock with 3 and 9 being the points where you can land your kite. Once I had learnt the basics of kite control it was time to try one handed in preparation for holding the board, this was harder than I expected leaving the kite at 2 or 10 in the wind window and using little movements on the center of the bar to control it was challenging. The Edge/Neutral Zone: in good winds, the kite can remain in stationary flight in this zone, producing little or no power. The Intermediate/Soft Zone: the area downwind of the neutral zone, where the kite starts to move dynamically and produces power; the power generated within the intermediate zone is gradual, increasing the closer it is to the center point of the window or power zone. The Power Zone: the most powerful area within the wind window and is used with sensible control; this zone is rarely needed except in light winds and when performing advanced tricks; the kite cannot be paused or stopped in this zone and will continue to fly towards the neutral zone. Day two was about mastering the body drag. This is a key technique to master both up (against) wind and down (with) wind in case you lose your board. The Atlantic was surprisingly warm as I bobbed up and down in the water. With a slow motion I took the kite to 10 and it instantly pulled me forwards and I shot off with the wind down the beach. After a short while I moved the kite back to 12 and then over to 2, this time I pulled on the bar a little too hard and shot off in the air, face planting and taking a great gulp of ocean. After a few more attempts my body drag downwind was going well and it was time to work on going upwind. This was slightly trickier especially in choppy water. Moving the kite to 10 I stuck out my arm in the direction of beach and slowly made my way against the wind back to shore. Reaching the shore I was surprised how difficult I had found it, not only the physical demands on trying to swim against the current whilst holding the kite still in the window, and trying not to swallow too much water made for an interesting challenge. 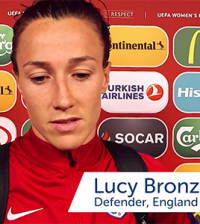 The board adds a new element to the mix! I listened and watched as Jordi effortlessly stood up and kited away leaving me standing in the water. Next was my turn. I sat down in the water pulled the board onto my feet as quickly as possible whilst trying to keep the kite at the top of the window. The next step was to send the kite to 11 and then back to 2, sounds simple enough… but, it was a lot harder than I remembered especially with the fluctuating wind, gusting one minute and dying the next. During the next few hours I kept at it, determined not to give in. I drank pints of the Atlantic, winded myself twice and had to be rescued by the safety boat once but persistence paid off and by the end of the session I was standing, not for long but standing none the less. 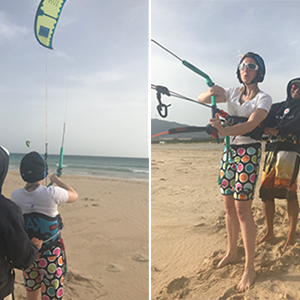 Kitesurfing is a tough sport, there is a lot going on all at once so brain power and muscle power are both working over drive – I am going to have to keep up my lessons in the UK.